A promotional product is not always linked with the product it is packed with. However, it must be a good reminder and representation of the brand to be an effective promotional product. The connection between a promotional gift and its product will depend on the brand image. Here is one interesting gift with purchase that caught our attention in China. 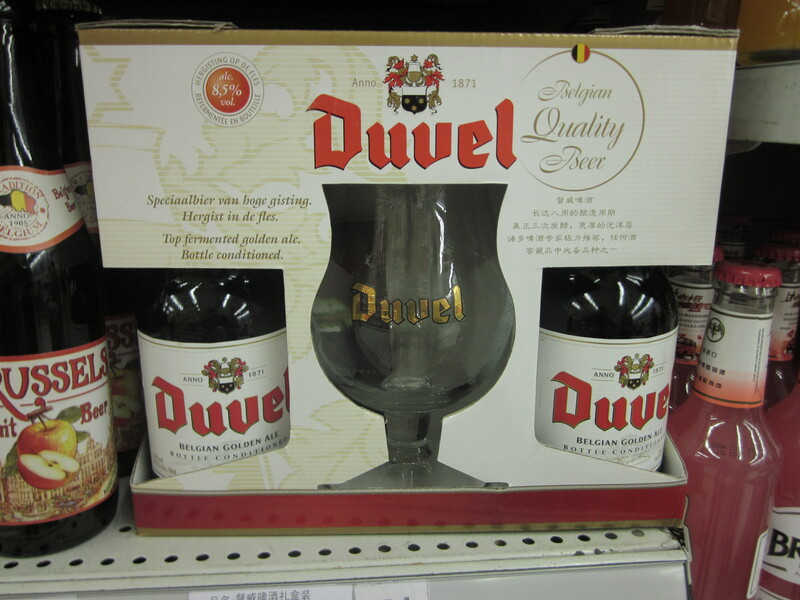 Buy two bottles 330 ML of Duvel at 66 RMB (9.90 USD) for an on-pack promotion that includes a promotional beer glass. This pint tulip glass is branded and has a very nice shape. It can be displayed on a rack and used to pour a pint with friends. 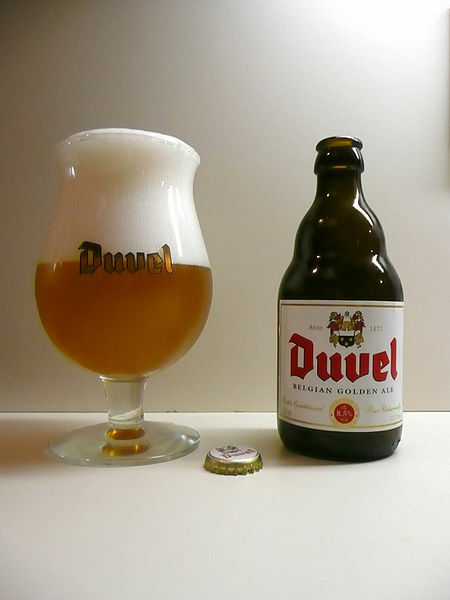 The traditional Duvel branding will be promoted at anytime at the consumer’s house. We really like this drinks promotion. The promotional item from the Belgian ale is closely related with the product and its quality. A tulip glass helps trap the aroma and in maintaining large heads, creating a visual and olfactory sensation. The body is bulbous, but the top flares out to form a lip which helps head retention. This kind of beer glass is recommended for serving Scottish ales, barleywines, Belgian ales and other aromatic beers. You can choose different styles of glassware. Indeed they complement different styles of beer for a variety of reasons including the enhancing aromatic volatiles, showcasing the appearance, and/or having an effect on the beer head the beer glass. Keen on creating your very own custom promotional beer glasses? Do not hesitate to ask our buying office to design and manufacture for you! Enquire @ ODM for more ways and explanation on how you can vastly improve your business. Our product designers will be able to provide you with multiple unique and interesting ideas for you to wow your audience and increase brand recognition. The specialists here is capable of assisting you throughout every process to ensure a pleasant experience. Contact ODM now! Tiger Beer‘s promotional branded mugs caught our attention and we thought this is the perfect marketing tool to build brand reputation and recognition. There are countless benefits that using promotional glass mug during a promotional beer campaign. Find out more and why we love it! Since providing consumers with promotional glasses are so popular, how can you stand out? We have collated a list of creative promotional glassware that will ensure that you can attract consumers’ attention and gain a competitive edge against consumers. Check out these innovative and interesting promotional glassware! Not only the drinks industry can provide its consumers with promotional glass cups. Here is Nike‘s take on boosting their brand’s awareness by creating promotional glasses. Find out why this is Nike’s choice of promotional product, along with how this manages to boost its sales!